The Regional Center for Strategic Studies (RCSS), Colombo launched the Summer Workshop Series in a bid to bring together young Indian, Pakistani and Chinese scholars in 1993. The Workshop was held regularly on an annual basis till 2006 when it was discontinued due to funding issues. 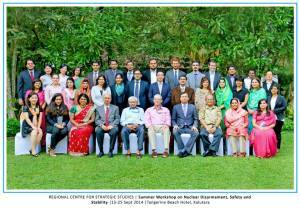 Recently, RCSS led by its Executive Director, Dr. Mallika Joseph was successful in garnering funds for organising the 13th Summer Workshop (September 15-25, 2014) at Kalutara, Sri Lanka. The theme of the Workshop was “Nuclear Disarmament, Safety and Stability.” Dr. Arun Vishwanathan participated in the Workshop which brought together thirty odd young scholars from India, Pakistan, China and the US for an intensive ten-day fully residential workshop. In this piece, Dr. Vishwanathan offers reflections on the workshop. 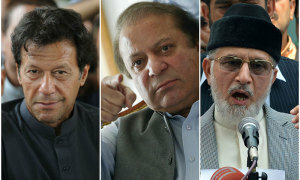 The Political Crisis in Pakistan: Are There Any Victors? Despite the ‘success’ of the first transfer of power from one civilian government to another in Pakistan, recent events have highlighted the fact that the power of the Pakistani Army remains central. The sudden outpouring of protests in the streets of Islamabad led by Imran Khan and Tahir-ul Qadri, demanding the resignation of the Prime Minister has been criticised for many reasons. From allegations of being backed by the Army to using unconstitutional means to weaken the civilian government, the protests have thrown open the eternal dilemma of civil-military relations within Pakistan. What remains the major issue is how the bargaining games and power play dynamics shift in light of these protests. This article analyses the current political situation in Pakistan and the changing trends in civil-military relations. President Pranab Mukherjee, in his inaugural address to the joint session of Parliament on June 9th outlined the plans of the Narendra Modi-led Government regarding the rehabilitation and return of the displaced Kashmiri Pandits. Subsequently, Finance minister Arun Jaitley announced Rs. 500-crore special package for rehabilitation of Kashmir Pandits in the Union Budget 2014. 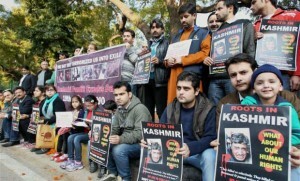 The scheme, part of the BJP’s election manifesto, aims to encourage the return of displaced Pandits to the state with ‘dignity, security and assured livelihood.’ In the article, M. Mayilvaganan and Pallavi Parashar analyse the prospects and challenges related to the issue of rehabilitation of Kashmiri Pandits in the valley. In the picturesque city of Istanbul, Carnegie Endowment for International Peace and The Stimson Center brought together an interesting mix of young Indian and Pakistani researchers, academicians and journalists working on nuclear issues. The workshop held from June 18- 20, 2014 was titled ‘Deterrence Stability in South Asia’ and aimed to delve on issues related to India-Pakistan nuclear deterrence and deterrence stability. Over a period of three days, the gathering deliberated upon the varying perceptions and key challenges to deterrence stability in South Asia and ways to address these challenges. In this article, Aditi Malhotra discusses the main points that were deliberated upon during the workshop. This is the time of the year when football fans across the globe have headed towards the land of the Samba dance for the ongoing FIFA 2014 World Cup extravaganza. In order to make this mega event incident free, the Brazilian security establishment has taken all the possible precautionary measures. This is where the diminutive state of Israel comes into the scene. Although Israel’s national football team does not represent the country in the current tournament, Israel’s presence is felt across Brazil. The 2014 FIFA World Cup has brought significant business to the Israeli arms industries with ensuing military and diplomatic incentives. As a result, for Israel and Brazil, this World Cup event is a bridge to closer military cooperation and expansion of their bilateral arms trade. In this article, Alvite Singh Ningthoujam analyses the issue of growing military cooperation between Israel and Brazil. Israel has been unrelenting in exploring opportunities to strengthen military cooperation with countries in South East Asia (SEA). This is evident from the burgeoning military trade between Israel and countries in the region. Moreover, exhibitions like the Singapore Air Show and other similar defence expos have provide Israel the platform to lure the attentions of the defence planners in the SEA countries. In this article, Alvite Singh Ningthoujam delves into the issue of South East Asia becoming an emerging market for Israeli arms. The ‘Arab uprising’ has led to a long drawn out and vicious conflict in Syria, with no clear resolution in sight. 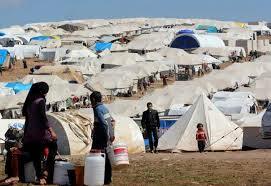 The longer the Syrian conflict draws on, the more neighbouring countries are getting engulfed into the imbroglio. One of the most obvious implications of the Syrian conflict is the influx of refugees from Syria into neighbouring countries. The proximity of Syria and Lebanon and the relatively porous borders between the two countries has meant that a large number of people from Syria are seeking refuge in Lebanon. This article makes an attempt to highlight the impact of the Syrian conflict on Lebanon, with particular reference to the humanitarian concerns. 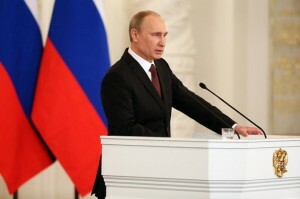 The ongoing crisis in Ukraine which has seen the Russian invasion and annexation of Crimea has primarily generated two important legal questions. The first one relates to whether Russia has violated international law with respect to the non-use of force, respect for the territorial sovereignty and political independence of Ukraine. The second question relates to the legality of the referendum in Crimea whereby it has chosen to become a part of Russia. In this article, Himanil Raina provides legal perspectives on Russian Intervention in Crimea & Geopolitical Consequences. 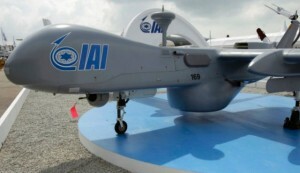 After a decade of dormancy, Israel and China are attempting to revive their military cooperation which came to an abrupt end following the 2004-Harpy Drone controversy. Under intense pressure from the George W. Bush administration, Israel had agreed to cancel its arms sales to China, and even allowed the US to review its future weapons transactions. For long, the US has played a rather ambivalent role in relation to Israeli arms exports. It has acted both as an advocate and obstacle. 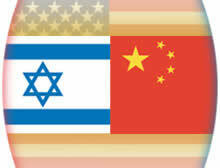 In this article, Alvite Singh Ningthoujam analyses the US factor in Sino-Israeli relations regarding arms trade. Ethnic Conflict and Civic Life – Hindus and Muslims in India is an extremely well researched book on communal conflicts in India. The book makes some interesting analysis on communal strife or the absence of it in 3 pairs of cities – Aligarh and Lucknow in Uttar Pradesh, Calicut in Kerala, Hyderabad in Andhra Pradesh and Ahmedabad and Surat in Gujarat. In spite of having a similar mix of Hindu and Muslim population, one in each pair enjoyed communal peace while the other was racked by communal strife. 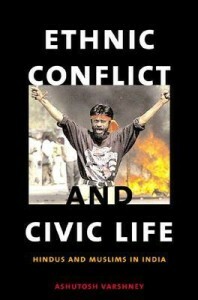 S. Gopal reviews the book, Ethnic Conflict and Civic Life: Hindus and Muslims in India by Ashutosh Varshney. The United States along with five other world powers and Iran finally signed a deal on Iran’s nuclear program on November 24, 2013. A series of steps was agreed upon by both parties for the next six months, during which a broader deal would be negotiated. 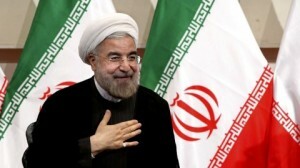 Relations between the West and Iran had soured since the 1979 Iranian revolution and the recent agreement is considered as the first step to a permanent resolution. The author in the article analyses the recent Iranian nuclear agreement with the West and the domestic challenges Iran and US are likely to face. Fishery resources have always sustained fishermen communities in Tamil Nadu and Sri Lanka, however over time these resources have become the object of “uncommon controversy.” The battle over fishing in the Palk Straits especially for tuna, prawns, lobsters, blue swimming crabs and cuttlefish is a classic political maritime confrontation: a showdown between the state government, India and Sri Lanka which, like past disagreements, snowballs into a major diplomatic row between two countries. 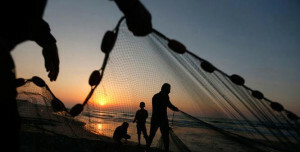 With the continuing trend of attacks and arrests of Indian fishermen by Sri Lankan authorities, the issue is slowly approaching a ‘crescendo’, with no solution in sight. 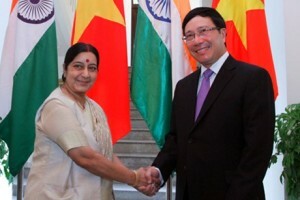 The author in the article analyses the case of India-Sri Lanka maritime dispute with regard to the contest over fishery resources in the region. A lot has changed since Pakistan went nuclear in 1998. Pakistan has successfully tested and deployed longer range nuclear-capable missiles while continuing to expand its fissile material stockpile and of late has ventured towards flight-testing its short range missile Nasr/HATF-IX which it claims carries a nuclear warhead. 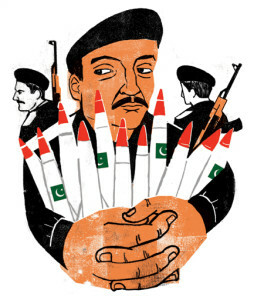 Nevertheless, one person has remained a constant fixture throughout Pakistan’s nuclear odyssey. This individual has been Lt General Khalid Kidwai, an Artillery officer who took over the reins of Strategic Plans Division (SPD) as Director General (DG) in February 2000 and continued in the position for almost 14 years. Kidwai’s seemingly unending tenure draws to a close on December 31, 2013. The revelation of his impending retirement and appointment of Lt Gen Zubair Mehmood Hayat as the new DG, SPD was made on December 18. With SPD witnessing this landmark change in leadership, the author in the article analyses the implications of Lt Gen Khalid Kidwai’s retirement as SPD DG and challenges for the new incumbent. 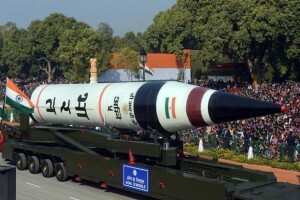 In an article in the FAS Strategic Security Blog, Dr. Hans M. Kristensen has quoted various statements by scientists of the Indian Defence Research and Development Organisation (DRDO) related to modernisation of India’s missile program to arrive at the conclusion that the development and deployment of longer range missiles with multiple warheads and quick-launch capability would “indicate that India is gradually designing its way out of its so-called minimum deterrence doctrine towards a more capable nuclear posture.” Though the arguments advanced in the paper appear logical and persuasive, they remain anchored in the Cold War logic. The two-party logic cannot be applied to understand the complex dynamic that underpins the relationship between the Sino-Pak alliance and India. Such a caricature of the more complex dynamic tends to misrepresent the realities of the relationship between these countries.